After you say your I do's, you smash the cake in each other's faces, and dance the night away, you will realize that you just lived the fastest and best day of your entire life! Now, the next thing you are going to do is wait. Wait for the images that recap every detail, every smile, and every joyful moment from the day that changed your life forever. Wait for the images that you will one day show your children and grandchildren. You are all about traditions, but when it comes to your wedding day, you are totally okay with creating your own. You cannot wait for your wedding day, but you are even more excited to begin your marriage. During the reception, you will find yourself at two places: the dessert table or the dance floor. You think your groom is the hottest man to walk the planet! 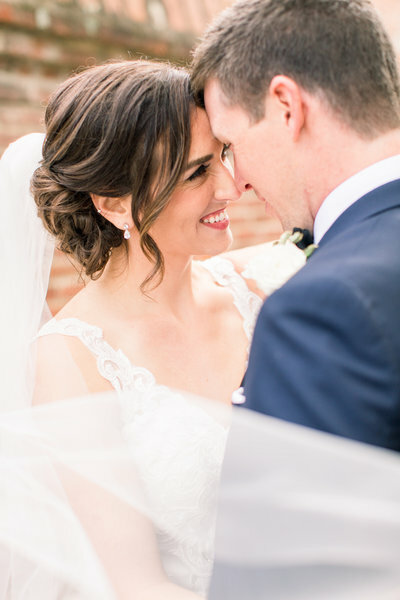 You are going to tear up (or ugly cry- your choice) at least once on your wedding day! YOUR CHOICE OF MUSIC FOR THE MORNING IS 90'S POP HITS BECAUSE YOU CAN'T GO WRONG WITH JAMMIN' OUT TO N*SYNC AND BRITNEY FIRST THING IN THE MORNING! You can't get enough of the outdoors: blue skies, warm sun, and fresh air. You can't imagine saying your I do's anywhere else! I don't know how I can put into writing how much Corrin being a part of our engagement and wedding meant to us. Of course, the photographs are beautiful and capture the day so perfectly, but beyond that her incredibly professional and positive attitude, along with her willingness to go above and beyond the day of was more than we could have ever expected or asked for. As the groom, all I could have hoped for was that Cristi be able to enjoy the day with family and friends and be able to look back with nothing but great memories, and Corrin is such a big reason that we can do that. Corrin went above and beyond. IT was more than we could have ever expected or asked for. A wedding photographer is one of the most important vendors on your wedding day. Corrin, by far, was the best decision I made. I was between a few other photographers in the beginning, but after my first phone call with her, I felt extremely confident that she was the right person for us. The entire process was simple and easy for me because Corrin helps you plan and outline so much. Aside from all the back end stuff, her pictures speak for themselves. They are STUNNING. It's clear she loves what she does! Everyone cannot stop raving about how awesome she was from start to finish. Corrin captured our wedding day way better than I could have ever imagined. Corrin, by far, was the best decision i made. Choosing a vendor team is extremely tough, especially when it comes to a photographer, but let me tell you that hiring Corrin was 100% one of the best decisions we made when wedding planning! Corrin is extremely professional, and cares greatly about her clients. She made us feel so comfortable throughout the engagement session and our wedding day. I usually hate having my photo taken, but absolutely LOVE the photos Corrin took! Hiring a good wedding photographer is truly an investment, and I am so glad that we invested in photos and memories that we will have for years to come. Throughout the planning process, Corrin was so friendly and willing to work with us. I truly feel as though we gained not only a photographer for life, but a new friend. We look forward to using Corrin for family photos for the years to come! Hiring Corrin was 100% one of the best decisions we made when wedding planning! A hurricane decided to crash my beautiful outdoor wedding I had been planning for over a year, and all plans and details had to change morning-of. I was so grateful for Corrin's calmness and positive-attitude. Shortly after the reception started, Corrin pulled Robert and I aside to briefly show us a preview of some of the pictures she had captured. The photos turned out beautiful, bright, and full of color despite the gloomy, windy hurricane going on outside. It is now almost four months after our wedding and our friends and family still talk about how amazing our photos are. Thanks to Corrin I now have these photos from our wedding day that I will treasure forever. If I had to do it again, I would choose Corrin a thousand times over! Corrin went above and beyond for me! She made my vision come to life, the engagement pictures were more than I could have ever dreamed of. When I received the wedding photos I cried looking at every single one! She captured all of the emotions and laughter that happened during our wedding day. Corrin has this ability to always put a smile on your face. She is the kindest most genuine person I know, and there is no doubt in my mind that Corrin was the best choice for us. I am still amazed and cry every time I look at our father-daughter first look photos! The decorations, the band, the food, the flowers, etc. are all super important, but pictures and video were extra important to me. It's priceless to be able to look back on that day and to know we will be able to share them with the family for generations to come. Corrin's heart for her job really shows. She doesn't want just the best picture, she wants the best picture for that couple. If you didn’t get the point by now - we were THRILLED to have Corrin as our photographer. She rocked every bit of it and I'm proud to be a CJ Bride! In my opinion, pictures and videos are really the only thing you can take away from your special day. I cried my eyes out when my wedding was over. I hugged Corrin like my life depended on it. Because for the months leading up to my wedding I need Corrin more than anything. She was my wedding life line. She kept me so organized, calm, and really just sane. I truly don't know how I would have ever got through the wedding planning without her. There was no other choice but Corrin. I just LOVE her. She made my wedding more memorable than I could have imagined. I truly can’t imagine going through this process with out her beautiful kind self. Corrin was seriously all I could have asked for and more! Corrin and I have known each other since college, and I didn't think twice when I asked her to be my wedding photographer. I have always loved her work, and I couldn't think of anyone else that could do a better job. She traveled all over Virginia to accommodate where I wanted the perfect pictures taken. She came to Richmond for my engagement shoot, to Roanoke for my bridal portraits, and then Roanoke again for my wedding day! I loved every single one of my pictures from all my sessions. They came out beautifully and it was exactly the style I was looking for! she is a wonderful photographer, and she made my husband and I feel so comfortable during our shoots. Wedding collections include 8 hours wedding day coverage, a second photographer, complimentary engagement session and the edited high resolution images with printing rights. Add-ons such as albums, extra portrait session, extra coverage are also available.